Information on the pretty buildings is alright, the biography of Mozart certainly interesting to read on a train - but what is the information one really needs on a trip across Salzburg? 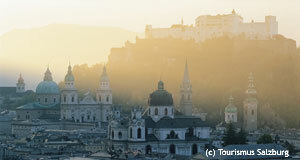 Here you will find the highlight of www.visit-salzburg.net - the ultimate guide to what you really need to know, a guide to the major sightseeing attractions ("see") and - more importantly - public restrooms ("pee") in Salzburg! And the very best about our guide is: to your convenience it is neatly printable as a pdf-file on a single page, supplemented with a detailed map of Salzburg. All toilets are accessible for wheelchairs and named with the address. You can print your "pee and see guide" and take it with you on your trip. Download "See and Pee Guide Salzburg"
Beyond that, keep in mind that Austrians have a reputation for peeing about everywhere without much consideration - so look out for bushes to supplement our guide! If you want to express your gratefulness for our assistance in taking the pressure from your bladder during your sightseeing excursion, please feel encouraged to link to this page to help with the promotion of our guide and this website!